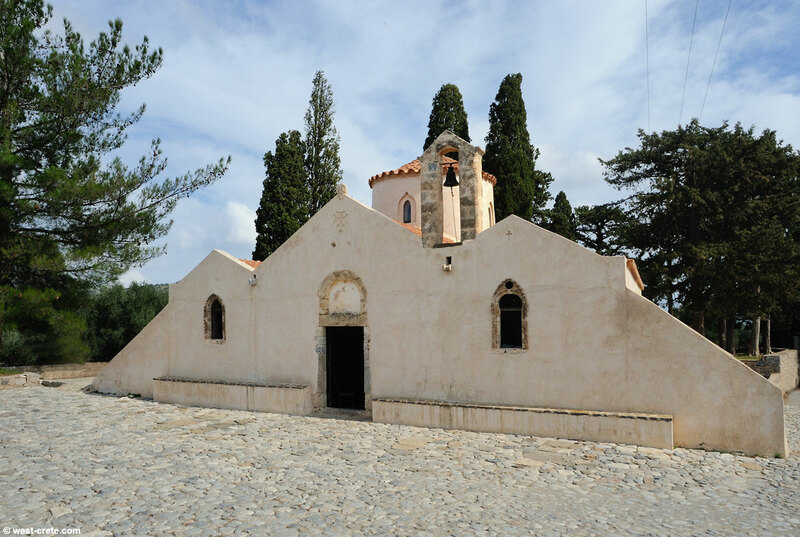 The church of Panagia Kera by Kritsa dates from the Byzantine period and grew considerably during Venetian occupation (1211 to 1647). The original church was single naved and domed. The side naves and buttresses were added during Venetian times. The interior of the church is entirely painted with remarkable13th and 14th century frescoes. The central nave is dedicated to the Assumption of the Virgin Mary. The northern nave to Agios Antonios (Saint Anthony) and the southern nave to Agia Anna (Saint Anna). To visit the interior of the church you need to pay and entrance of 3 Euro. Photography is not allowed . As the Panagia Kera is on a lot of the organized tourist circuits you could find yourself having to queue before being able to get in (it is not a large church so can't accommodate hundreds of people). We were fortunate in having it all to ourselves for over an hour but that was outside of the tourist. season. If you are keen to visit and see the most famous set of Byzantine frescoes in Crete I'd suggest to be either first in the morning or last in the evening.